The Bagman and a neighbor child who is obviously unsure of me. If you read my post CABIN FEVER, you know I recently had surgery. My wonderful folks came down to give me a much needed hand. Thanks to my beloved parents, A & W Bagman, for all their love and support. Yes, I was once a little Baggie growing up in North Texas with my younger brother, Baby Bag. You should have seen us as kids; wearing our little lunchbags on our heads…….running from all the other kids who, for some unknown reason, were fascinated with water balloons……. markers…….. scissors………torches. I get teary just thinking about it. Ah, the memories! Sometimes we would go out to eat but in those days, eating in a restaurant was a big deal. Kind of like watching cartoons…..which only came on Saturday morning…….on 1 of the 3 channels we could get on the rabbit ears. 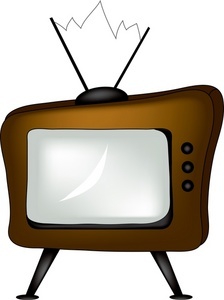 By the way, if you are too young to understand what I mean by rabbit ears, go and Google “History, television, good ole days”. The point is that we usually ate at home and my mother would usually cook…….AND we were home to eat it!. Good Ole Days! Anyway……. we always ate well (we would cut the mouth holes bigger at suppertime) because Mom was (and still is) a great cook. Homemade fried chicken, chicken fried steak, hamburgers, and about anything else you can imagine. It was great! (except for the time she made cabbage rolls. Then we just turned our bags around and drew the mouths shut). I can still see us at the table. We didn’t need napkins. We just wiped our hands on our little bag faces. Grease spots, small clumps of potatoes and gravy dripping down from the permanent smiles that were cut into them. “More please!” HA! Awesome! What a sight we were. 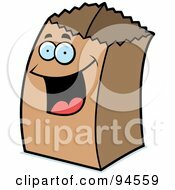 Even though I am grown now and need a grocery sack instead of a lunchbag, I still cut the mouth hole a little wider and my bag still gets messy when Mom cooks supper! I love her cooking and like food in general, hence the BIG Bags O Fun moniker. I don’t eat as much home cooking anymore and I’ve learned to use napkins because, after all, I am an adult, depending on who you ask. But as long as this Bagman can lift a spoon, I will spill a little gravy on my grocery bag when Mom puts a meal on the table. Then I have to lick it off, which is always a challenge. Ever have a paper cut on your tongue from licking an envelope? Try it from a grocery bag! This entry was posted in FOOD, HUMOR and tagged Bagman, Big Bags O Fun, blog, childhood, clean, cooking, family, food, funny, humor, mom by Bagman. Bookmark the permalink. Well, I’ll never recoup from the one time I fixed cabbage rolls and stuffed bell peppers!! You would have thought that I had plotted the demise of the two boys staring at me with scrunched-up faces while loudly exclaiming how yucky and unbelievably terrible it was for me to serve such disasterous dishes! Today, many years later, the Bagman sometimes shares his delightful experiences in relishing delectable morsels such as…CRAWDADS, OCTOPUS, and BOUDAN!!! “ARE YOU KIDDING ME? ?” “That’s so yucky!” (screams his mother through her scrunched up face). Can’t help but love The Bagman!!!! He’s one in a million! !